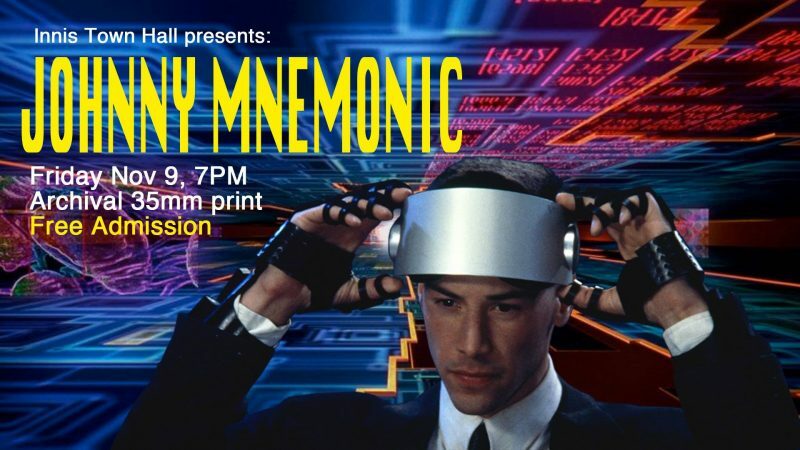 Innis Town Hall presents a FREE 35mm film screening of Robert Longo’s JOHNNY MNEMONIC (1995, 96min) on Friday November 9th at 7PM. Short story and screenplay by William Gibson. This 35mm print has been generously loaned to us by the Media Commons Media Archive from their Alliance Atlantis Collection. Innis Town Hall presents is a series of free screenings showcasing films on 35mm and digital cinema packages (DCP) curated by Innis Town Hall. All Innis Town Hall presents screenings are free and open to the public.